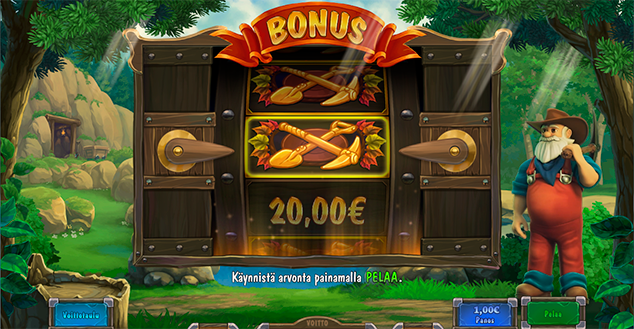 Kulta-Jaska 2 is a sequel slot game for one of the most popular slot game brands in Finland. Kulta-Jaska is a gold panner with his sights set firmly on finding the biggest nuggets around. 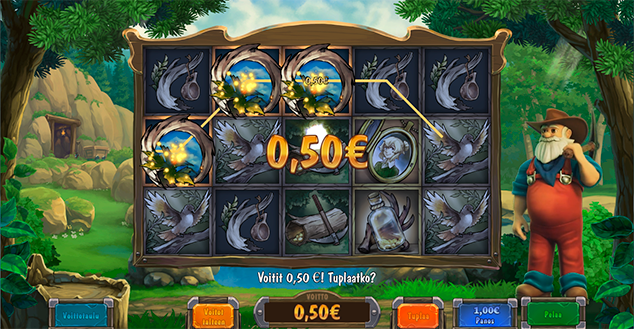 In addition to gold and precious stones, the game features images familiar from Lapland wildlife. Kulta-Jaska’s favourite lady, Emma, also makes an appearance. To help Kulta-Jaska conquer the perils that might lie ahead in the wild, he has enlisted the help of a trusty dog who answers to Kulta-Jaska’s whistle and brings wild symbols onto the reels. The dog also watches Kulta-Jaska closely in the bonus game where they pan for gold and other precious metals with a chute. The game has five reels and seventeen paylines. Dynamite stick symbols trigger free spins. 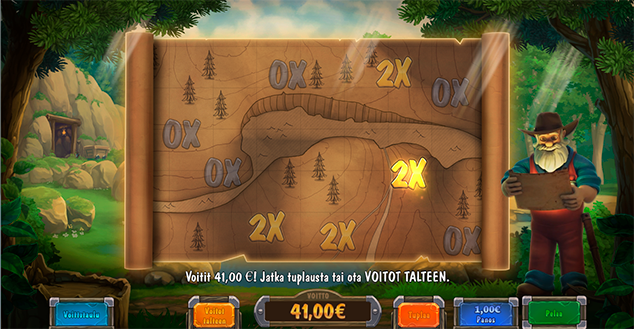 The player has the option to double or triple wins by selecting from predetermined places on a treasure map. 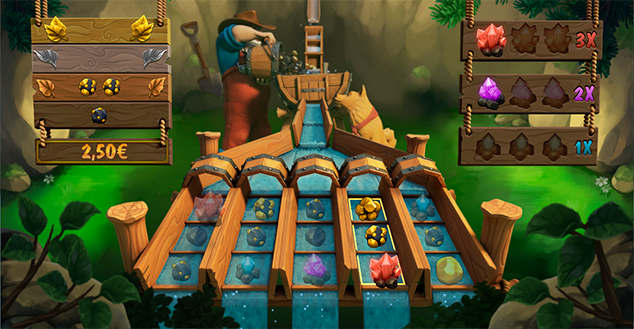 Kulta-Jaska 2 has one bonus game where he pans for gold and other precious stones with a chute. Each precious stone is a multiplayer and different-sized gold nuggets reflect the size of the win. 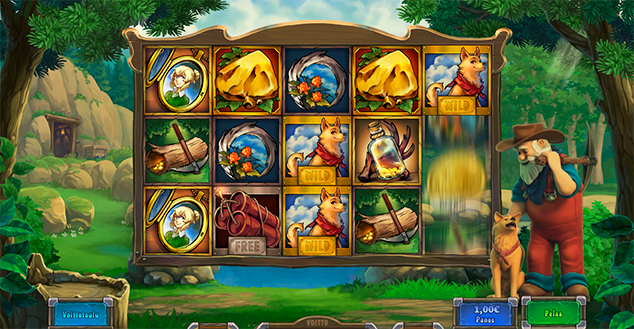 LudoCraft was involved in the creation of the game’s online and mobile versions.